Science isn't learned from a textbook. Dive into the processes taking place in the living things around you. 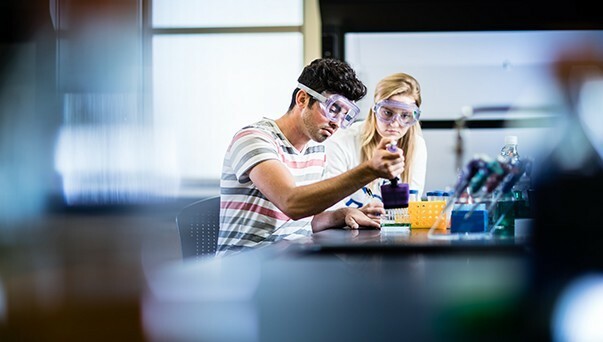 In your biochemistry major, you'll study the fields of biology, chemistry and genetics. You'll learn in the lab and in the great outdoors, and have a front-row seat as you discover the foundational structures of life. If you want to find more information about which companies are currently looking for biochemists in South Dakota, click here. 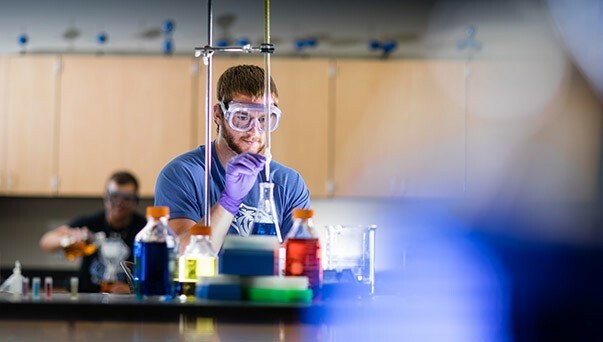 Biochemistry classes emphasize research and hands-on learning techniques for understanding science. Check out the classes in our course catalog. 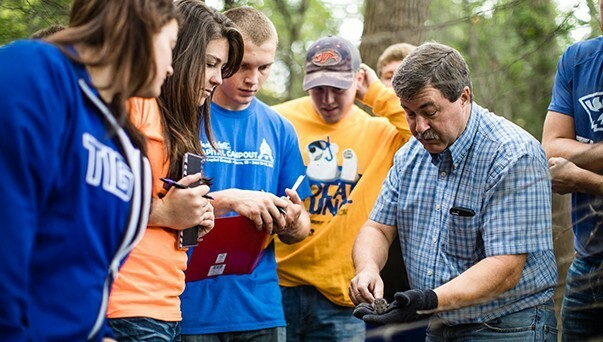 Dakota Wesleyan’s professors are continuously conducting research in our state-of-the-art facilities. Apply to work in the lab, and have access to science equipment as a volunteer, teaching assistant or as a paid research assistant. Learn more about biochemistry and medicine. Shadow with the Sanford Medical Center. Apply for the Hughes Grant-in-Aid Program – Take this opportunity to travel the U.S., or the world, to pursue your research beyond the DWU campus. HOPES Grant Outreach – Broaden the horizons of the next generation as a volunteer. Partner with a local elementary school, L.B. Williams, to encourage elementary-age children to explore science through hands-on forensic projects. South Central South Dakota Science and Engineering Fair – Judge the science fair with your classmates and professors to enrich the learning process of the participating K-12 students. Work hand-in-hand with your professors in the lab and the classroom as a teacher's assistant. Offer a helping hand and lead your peers through challenging lessons. Enrich your learning experience with additional interactive learning opportunities. Discover the world with our professors! Our low student-to-teacher ratio offers valuable one-on-one interaction with science professors. Do you have a passion for healing? Our faculty are committed to your success in the health arts. 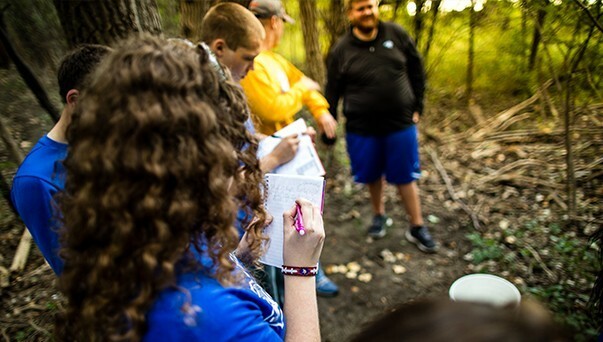 Your classroom and lab experiences will prepare you for a career as a wildlife biologist, conservation officer or game warden.